A pioneer in electronic video displays for over 13 years. 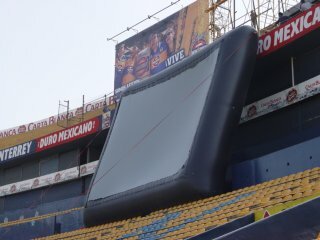 We have outdoor installations around the world and in Central and South America Our soccer, football, baseball, basketball, hockey, volleyball and swimming scoreboards have many standard features as well as an extended list of available options to make your soccer scoreboard as customized as you would like. 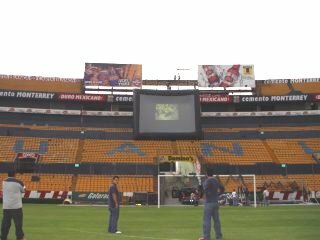 Design a matrix display or LED scoreboard and we will build it. All scoreboards come with our standard RF, radio frequency wireless controller, no extra wiring to worry about. 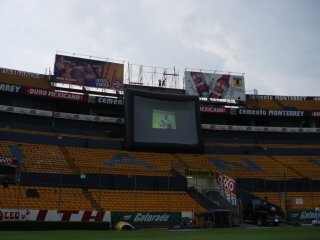 Jim Nelms, owner and Video designer, introduced the first ever air frame and video screen in a major international stadium. Scoreboards-us was asked to come up with this major design and engineer this technology. 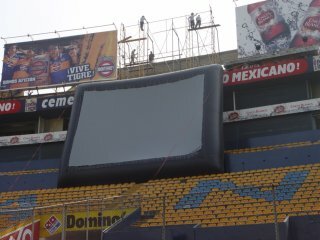 In Mexico soccer is a major sport and this was a hit. LED Digits--Our 18 inch LED 7- segment digits are machine soldered, displaying three rows of LED's for a wider looking digits. Viewing digits over 150 degrees. BATTERY POWER: When 120 volt power is a problem, choose our battery power scoreboard and RF wireless controller. We use PDA and PC wireless controllers for ease of use and compactness. PDA color controller simulates the actual scoreboard look for ease of use. Powder Coat finish--The finishing touches of our LED scoreboard comes with our unique framing design, quality powder coating. We can supply those in need of that special powder coating color for your soccer scoreboard. Custom vinyl logos can be made from your artwork or use our expert graphic designers for that custom design. All of our scoreboards are made with quality LED digits, last over 100,000 hours, are inexpensive to power, and easily to seen, even in sunlight. Our standard wireless hand held controllers are rugged and easy to use. 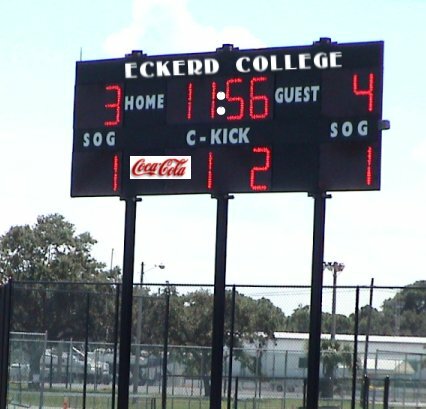 Our wireless soccer scoreboard system is configured so we just plug and play.